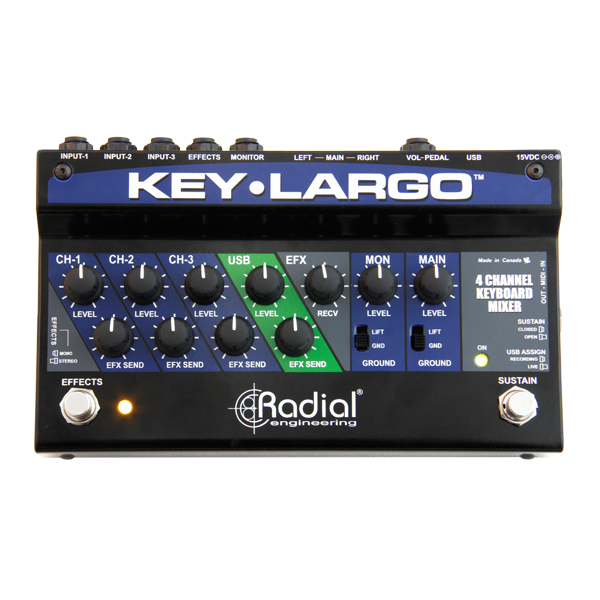 "Radial's Key-Largo gives me a compact solution to connect all my keyboards and computer in one small and convenient box with the remarkable Radial DI technology inside. Perfect for touring and the studio." 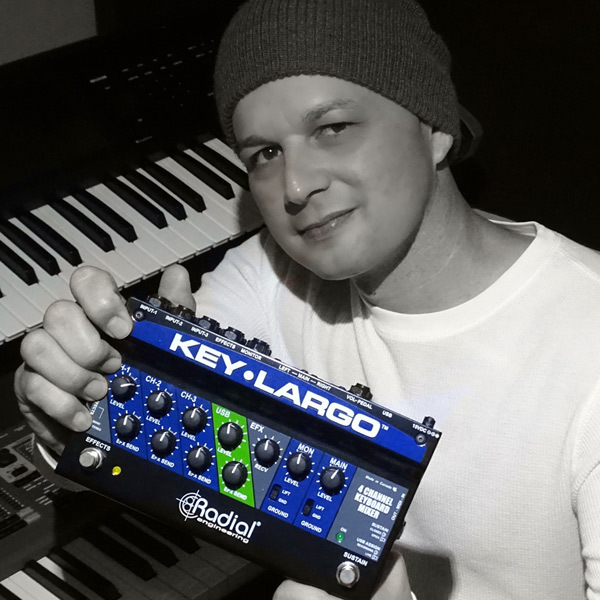 The Key-Largo is a unique and powerful device that combines a multi-channel keyboard mixer with the performance attributes of real-time footswitch control!